Lunch Connect is a productive and efficient way to build your network. Limited to 25 people for a smaller, more intimate gathering and located in a private section at local venues, Lunch Connect is focused on networking and building those important connections to help you achieve your professional goals. 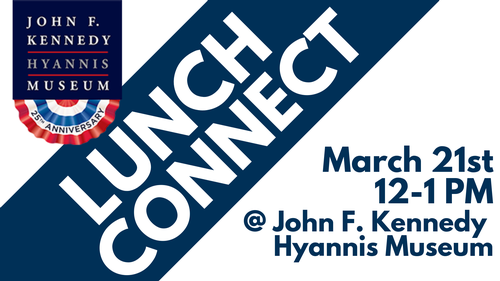 Our March Lunch Connect will be hosted by the John F. Kennedy Hyannis Museum in Hyannis from 12-1 PM.